Listening to Ron Miles play his cornet is like going to listen to a lesson in the history of the African-American music called jazz. 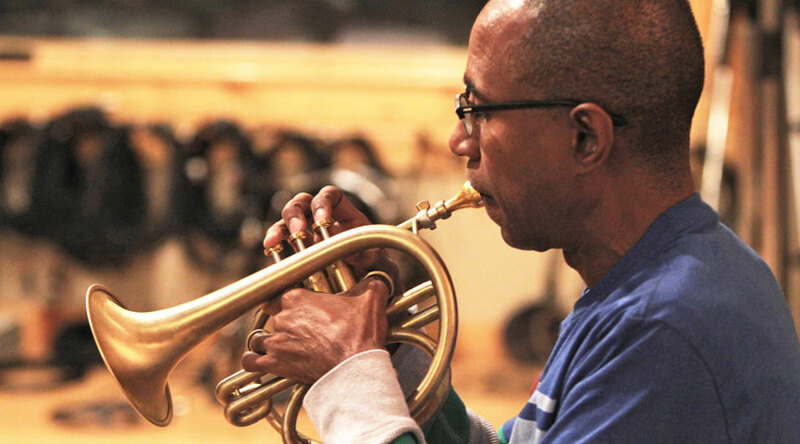 And if the ear is a keener one, it might also hear a history of how the instruments of this music have been played from the earliest time until now and beyond… Ron Miles is one of the main voices in the future of the cornet and of the music of jazz. Circuit Rider is just the latest in a long line of albums that the cornetist has made in a statement of that fact while not many of us have been paying attention. And that is a pity. Moreover, Ron Miles is a griot; a jazz jali kunda ensconced in the American landscape of folk music and the blues. He has absorbed, as if by magic as well as by design, the myths and stories of the ancients and now he has become a conduit; an anthropomorphic vessel through which the history of music flows. Mr. Miles’ voice is such that he is pliant and credible. He never bends the ear, forcing the word, so to speak, upon it. His is a passionate tone, a lyrical manner and yet he burns with a white hot flame. How is that possible? He forms his notes in the fire of persuasion—eschewing bluster, or pomp and circumstance. His lines are elliptical, like arcing arrows that cut through the air thick with idiom and metaphor. He is the quintessential African-American and his dialect is jazz. The immediate substance of the blues is secular. But contained in its pleas and supplications is the spiritual. This material transformation of the character of and in the song becomes subsumed in the finest jazz. 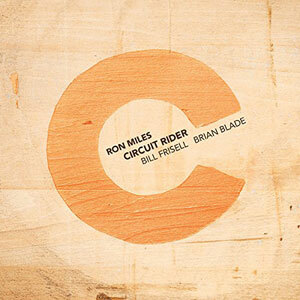 Ron Miles is such a character and his music exists in the purest form of this jazz. The lonely wail of the cornet speaks the blues as well as the high and lonesome folksong. This is how the music is essentially formed on this beautiful album. It informs the melodies such as “The Flesh Is Weak,” “Circuit Rider” and “Two Kinds Of Blues.” The music here heaves with sobbing breaths taken by the cornetist and they then become the transmogrified musical utterances that emerge from his horn. Images of the taming of a brutal landscape emerge from music such as this. The voices of cornetist as well as guitarist Bill Frisell and drummer Brian Blade are elementally melancholic and pleading, but they are also triumphant, transmuted as if by human endeavour. There are also two spectacular re-imaginings of Charles Mingus charts: “Jive Five Floor Two” and “Reincarnation Of A Lovebird.” They pay rich tribute to the greatest jazz musical genius since Duke Ellington. But why is the playing of these tunes so poignant? They stand for what Mr. Mingus stood for in his eventful life and ever after: tumult and the love that might result from that, again, by sheer triumph of human endeavour. All of these musicians on this record play music as if their lives depend on it for they risk their lives for every note. Recordings made with such force are never a small matter. And so it is right and just to recognize Circuit Rider as a record that is deserving of exceedingly high importance. A record that ought to be played over and over again to learn about the history of music as well as the musicians who make it so, to enjoy immensely every time it is played as well.